Aug. 16, 2018 -- Heavy metals at levels called ''troublesome'' are lurking in foods commonly eaten by babies and toddlers, according to a new Consumer Reports investigation. Scientists there studied 50 packaged foods made for children, from cereals to snacks, testing three samples of each. They estimated how much of each food a child typically eats, then looked at medical research on what levels of the heavy metals could cause health issues. "We found troublesome levels of heavy metals, in particular inorganic arsenic, cadmium, or lead, in every single sample," says James Dickerson, PhD, Consumer Reports' chief scientific officer. "These heavy metals shouldn’t be in food, period.'' They can damage the nervous system, cause cancer, and harm children's development, he says. Yet, "it's not that surprising'' the heavy metals were there, he says. They are found in nature. Most heavy metals in food come from water or soil contaminated through farming or manufacturing processes, from the use of pesticides, or pollution from leaded gasoline, the report explains. What was especially concerning, Dickerson says, is that about two-thirds, or 68%, of the tested foods had very high levels of the heavy metals. "What we are concerned about is if you feed your child this [food with high levels of heavy metals], over the lifetime of their development, particularly during birth to 4, then you will have an increased risk of having cancer, for example." The effects are long term, he says, not short term. It's not that children will vomit or have other kinds of immediate reactions, Dickerson says. The effects happen over time. 15 of the foods would pose ''potential health risks" if a child ate one serving or less every day. Snacks and products with rice or sweet potatoes were more likely than other foods to have high levels of the heavy metals. White rice had lower levels than brown. Organic foods were as likely as nonorganic to have high levels of heavy metals. "Back off on snack foods,'' as most of those products contain rice, he says. Dickerson says Consumer Reports has been discussing the need for more regulation with the FDA. The agency says it is hoping to finalize the new guidelines by the end of 2018. Consumer Reports officials have also had discussions with baby food makers. Among the actions the experts at Consumer Reports recommend, Dickerson says, are sourcing the raw food from growers to be sure it has low levels of heavy metals and ensuring the manufacturing process does not introduce contaminants (like from metal used in the machinery). Most companies said they do their own testing and are in favor of the government setting limits, according to the report. Beech-Nut, a major baby food maker, said in a statement that it focuses on safety and quality of its infant and toddler foods. “We have high standards and rigorous testing protocols. We established heavy metal testing standards 35 years ago, and we continuously review and strengthen them wherever possible." The company says it buys its rice from California, which, it says, has the lowest levels of arsenic of any rice-growing region. James Dickerson, PhD, chief scientific officer, Consumer Reports. 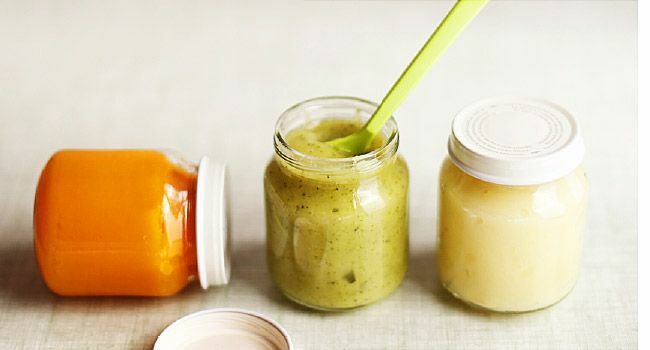 Consumer Reports: "Heavy Metals in Baby Food: What You Need to Know." David Saltz, spokesman, Beech-Nut Nutrition Company.